A team from a leading luxury holiday lettings company in Cornwall will be trekking 50km as the company raises funds throughout 2019 for the county’s helicopter emergency medical service. 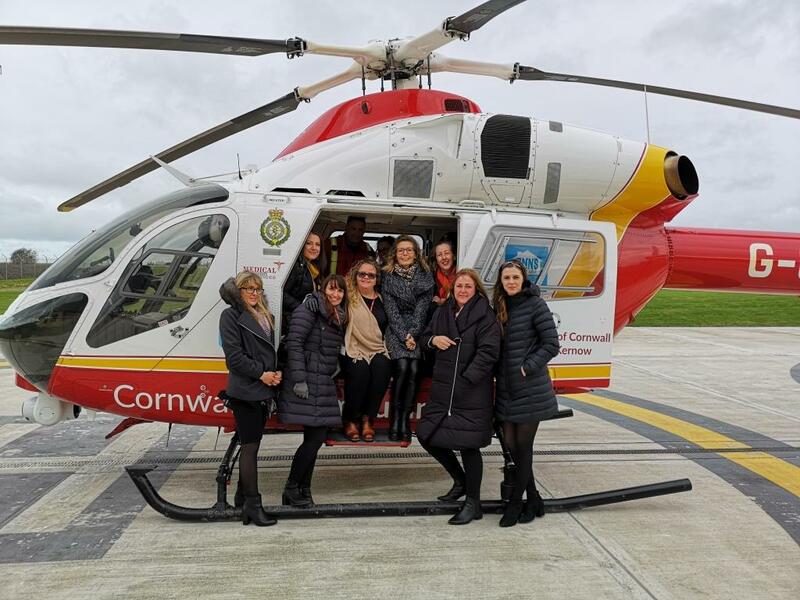 Cornish Gems, which has offices in Truro and St Ives and lets over 180 holiday homes, has chosen to support Cornwall Air Ambulance Trust (CAAT) as its 2019 charity of the year. Throughout 2019, Gems will be raising funds for CAAT’s New Heli Appeal which aims to raise £2.5 million by 2020 towards a faster and bigger helicopter to Cornwall and the Isles of Scilly. In addition to inviting guests to make a donation when making their holiday booking, Cornish Gems will be fundraising through events and challenges such as the gruelling Trekfest in the Brecon Beacons. A team of ten from Cornish Gems will be taking on the Pen y Fan to raise funds and awareness of the vital charity which flies more than 800 lifesaving missions each year and is a lifeline for residents and visitors alike. Philippa Snell, head of sales and marketing at Cornish Gems, said: “Each year we support a charity that’s close to our hearts and we are pleased that this year we will be supporting Cornwall Air Ambulance Trust in their bid to raise £2.5 million for a new helicopter for Cornwall and the Isles of Scilly.